Whether getting married in your backyard, at an elaborate church or on a beach in the tropics, there are so many different options to choose from when it comes to choosing the perfect venue. With a destination wedding in particular, your options are unlimited, placing you anywhere from an island in the summer to a winter wedding in the mountains. For many, Las Vegas is the perfect choice, claiming its name as the wedding capital of the world. If you do decide to get married in Vegas, what’s the perfect venue? The Bellagio is a famous resort in Vegas, well-known by both natives and visitors. While you might know the Bellagio as a place to stay or visit, it’s also a place to get married. The Fountains at Bellagio are absolutely stunning, and a backdrop definitely worth considering for your big day. If luxury is what you’re looking for, then luxury is what you’re going to get with the Venetian. Have you ever dreamt about floating down the canals in Venice? You can do just that right at the Venetian in Las Vegas. A popular option for destination weddings, this resort has wedding packages available to line up all of your vendors for you. You will definitely score some jaw-dropping photos if you decide to get married at the Red Rock. 3,000-foot mountains stand in the background, providing you with a unique setting that you can’t get in your backyard. 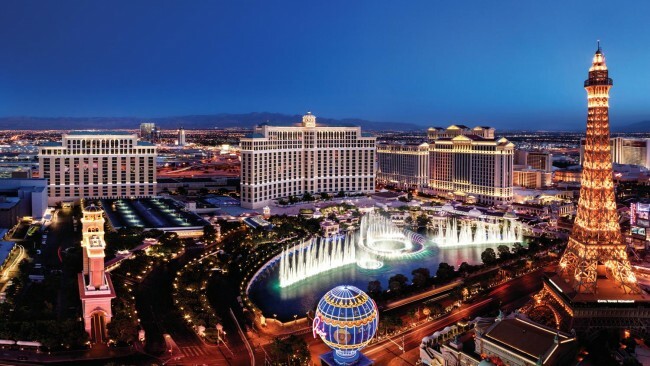 If the Red Rock is what you’re leaning towards, check out the travel deals at Vegas.com to find nearby accommodations to continue your celebration. If the luxury of a grand resort or majestic beauty of the Red Rock aren’t up your alley, you might think about the tons of chapels that sit within the city of Vegas. Vegas wedding chapels are perfect for couples looking to say their vows in a quaint, quiet setting. Figuring out where to get married can be the hardest part, so once you’ve settled on the perfect location, dive into the other details and have fun with them! If you need a little help, some inspiration or new ideas, check out the amazing services that JVB Design House has to offer and make your wedding day perfect.